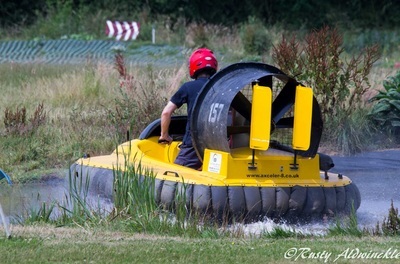 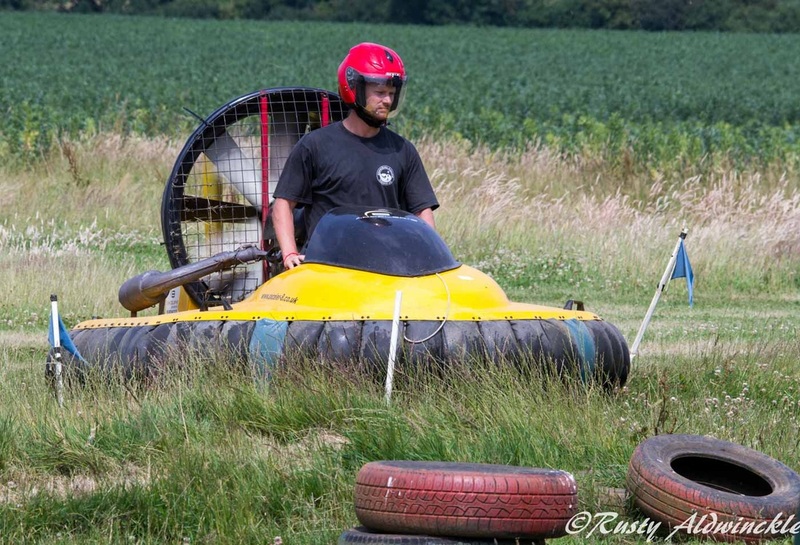 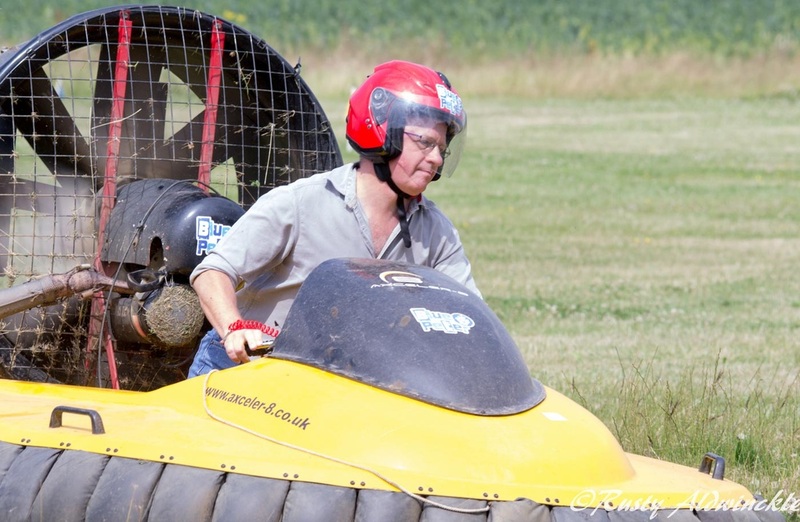 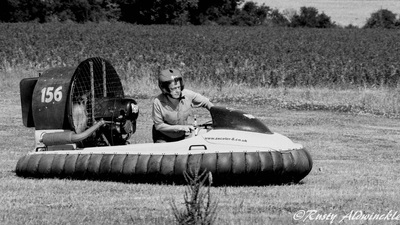 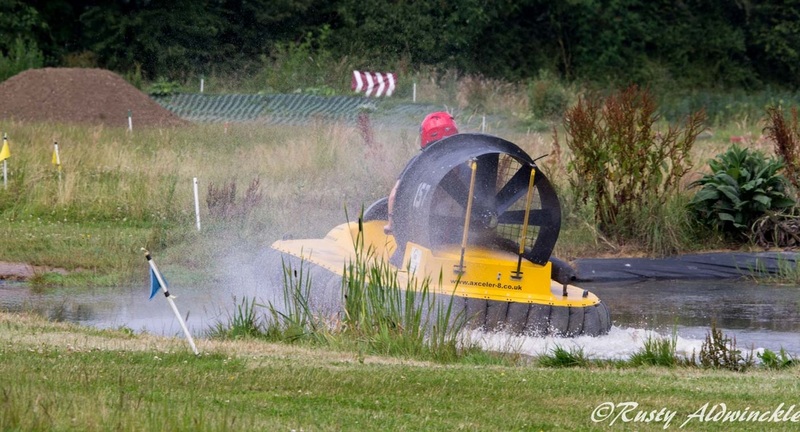 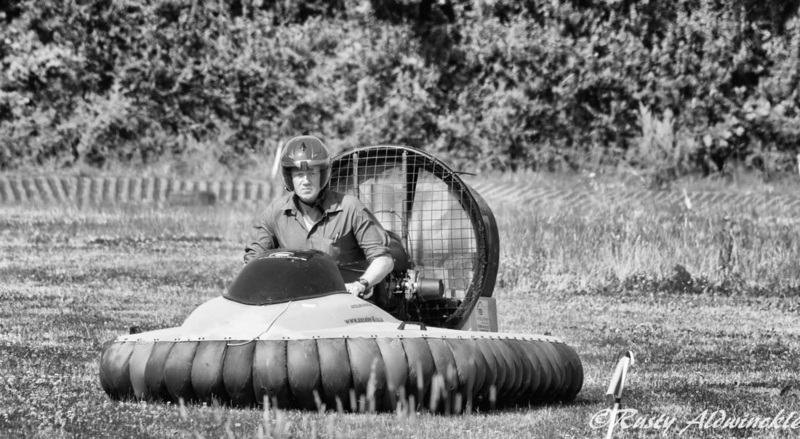 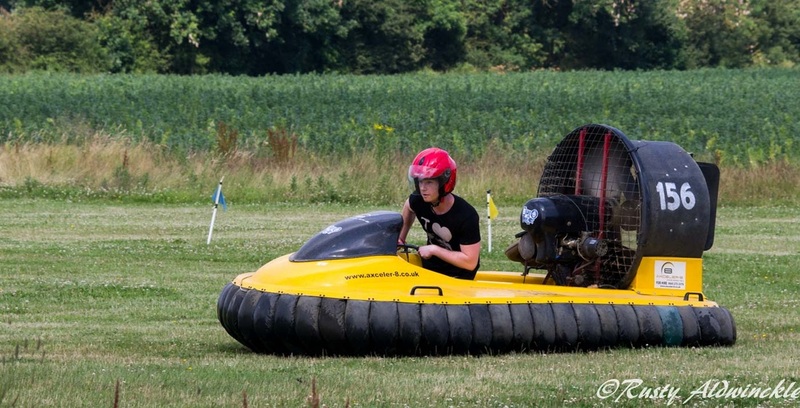 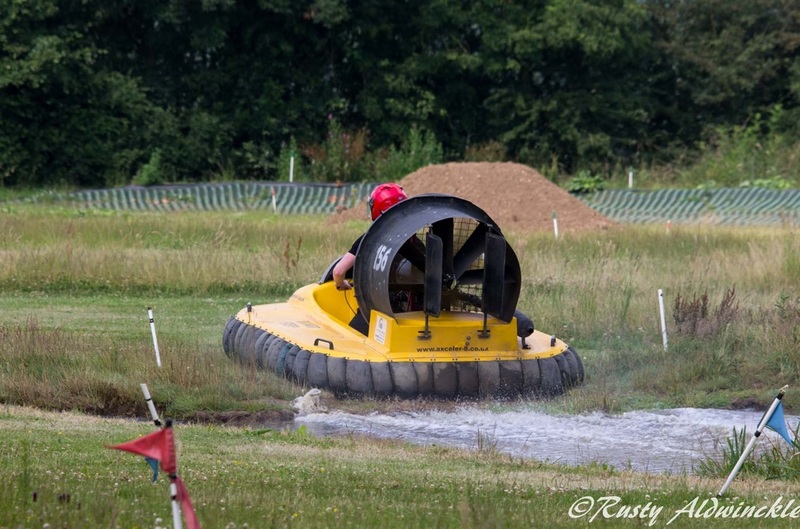 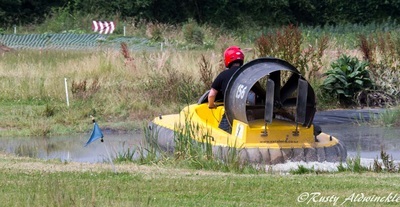 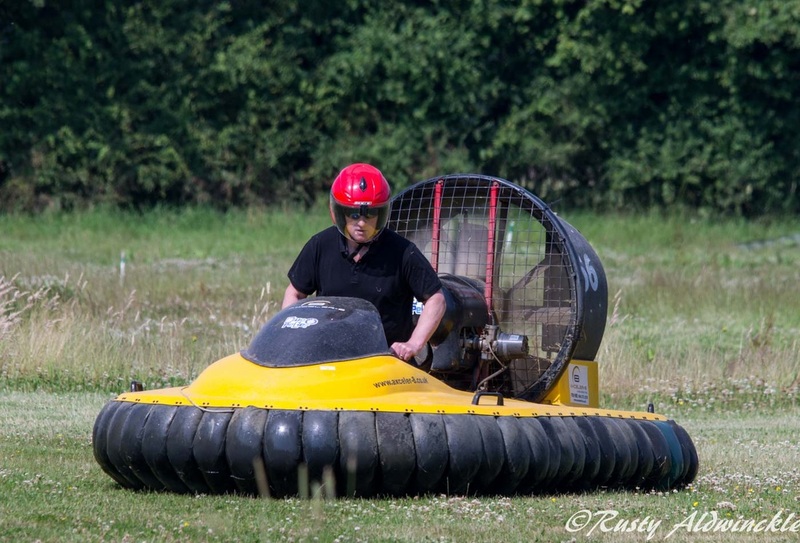 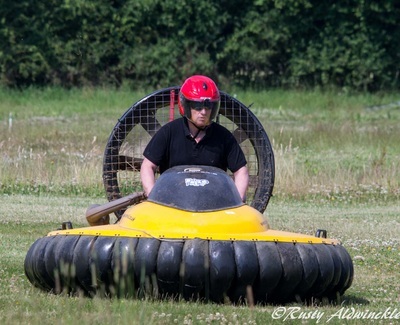 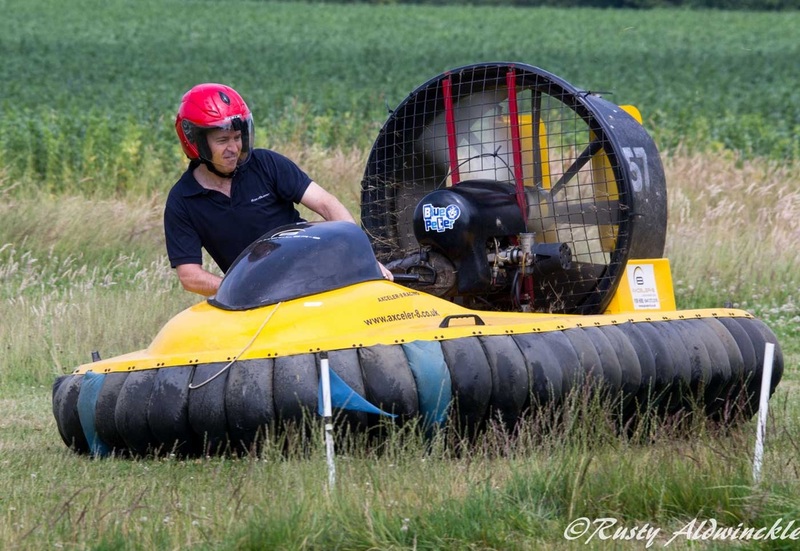 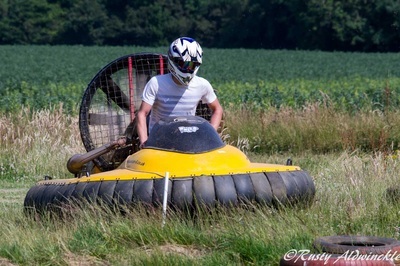 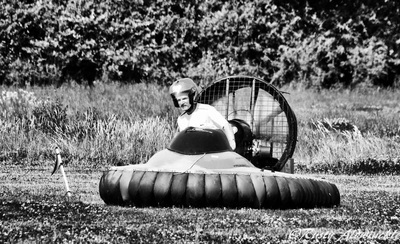 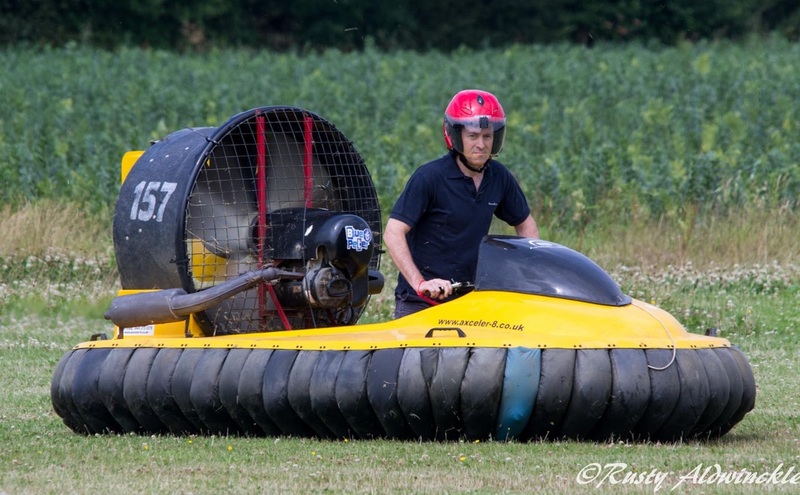 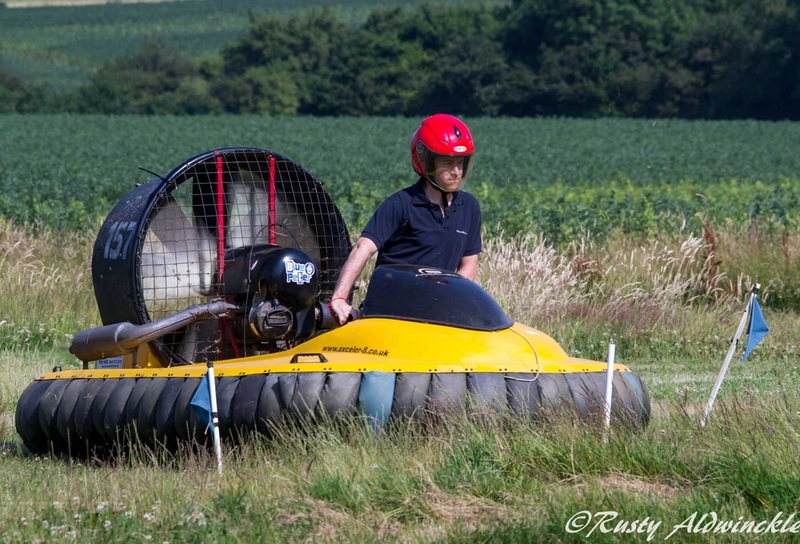 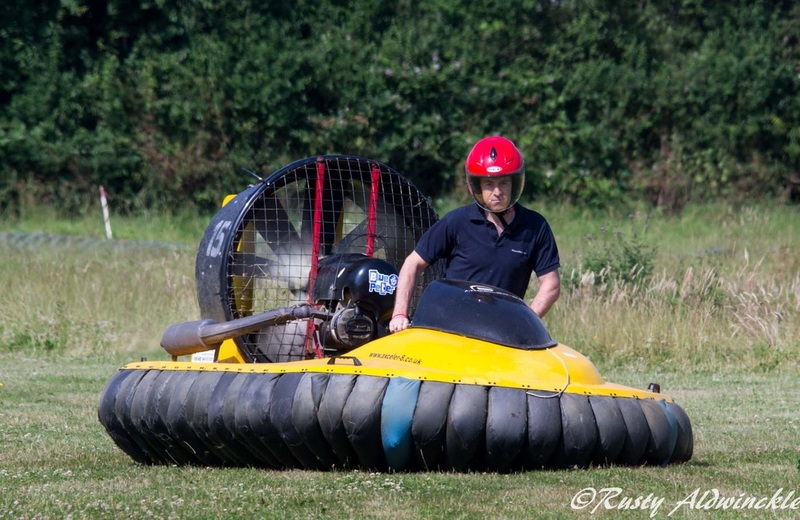 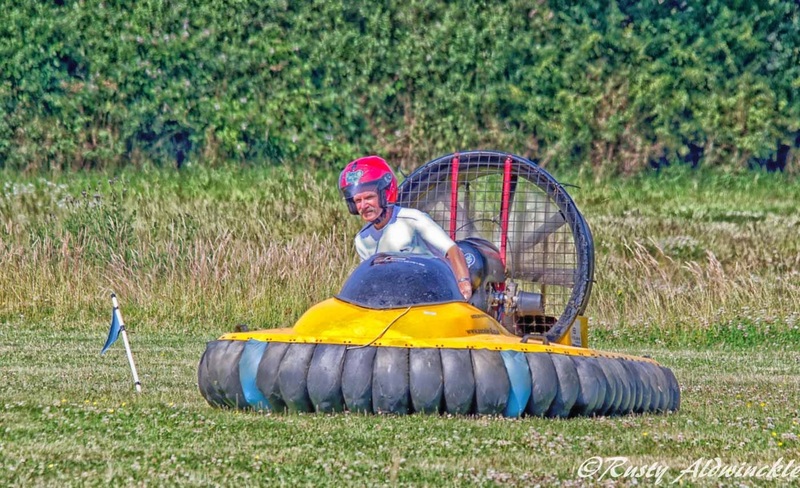 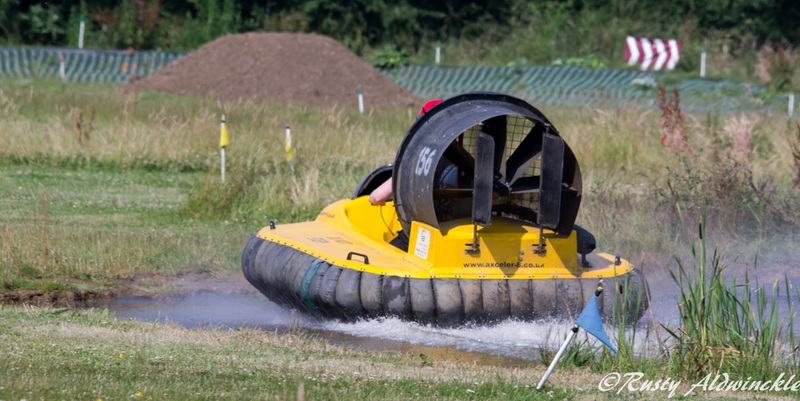 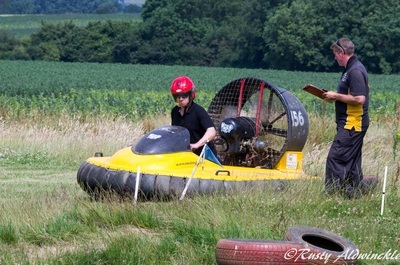 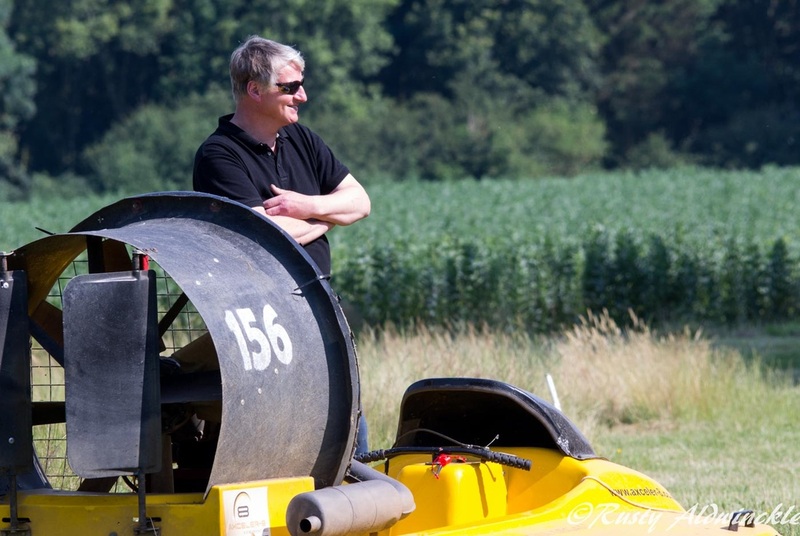 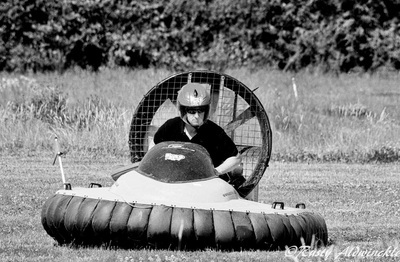 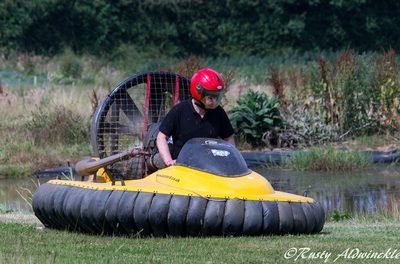 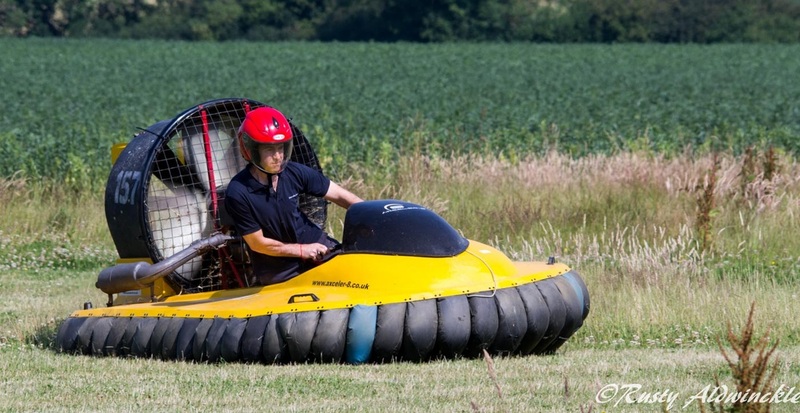 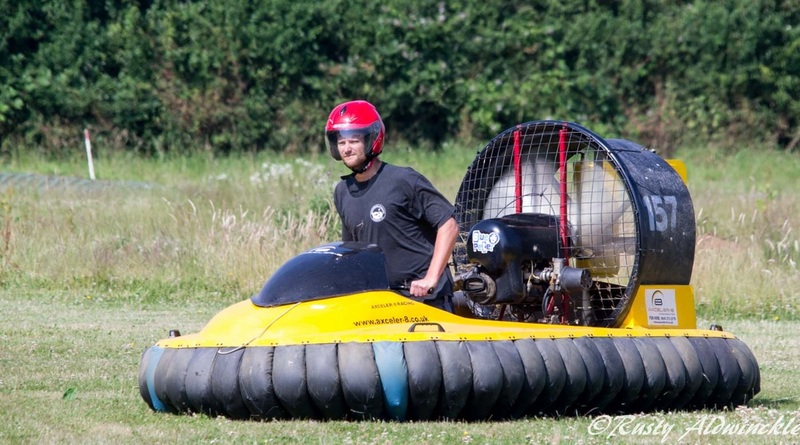 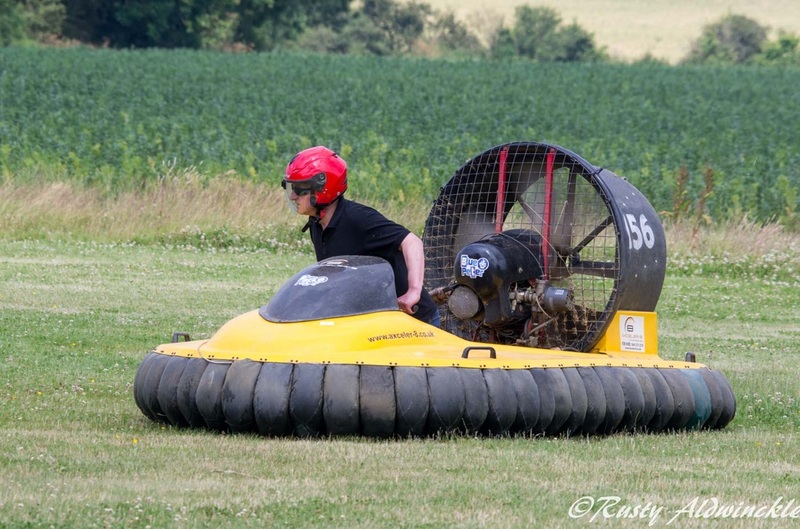 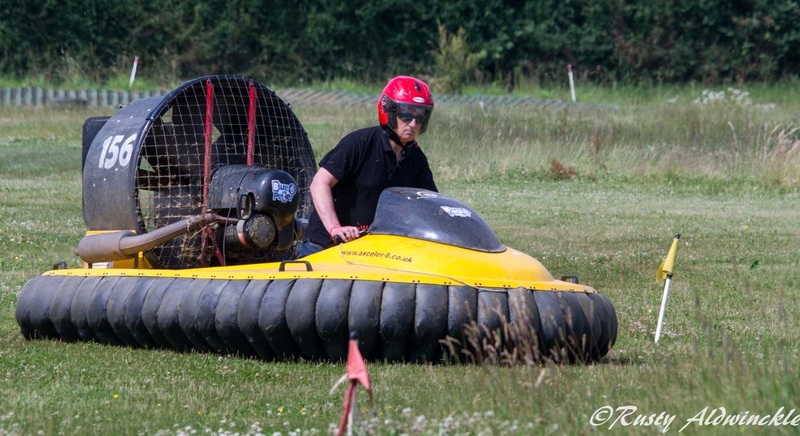 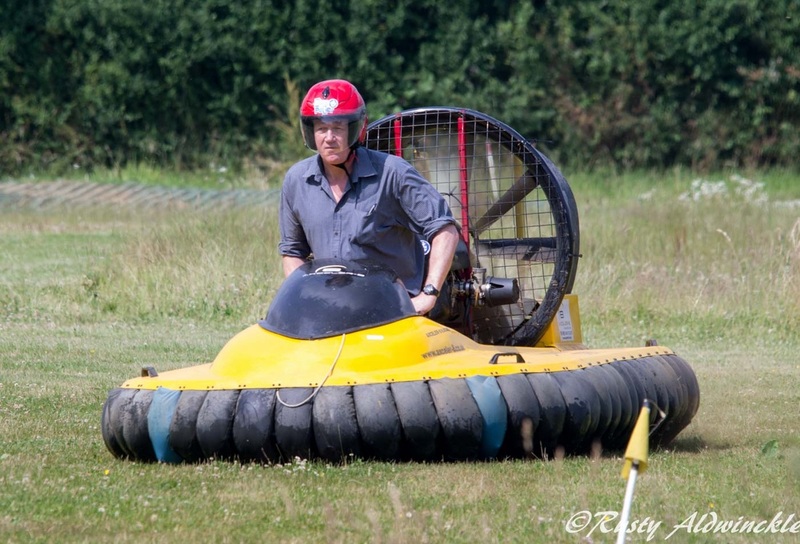 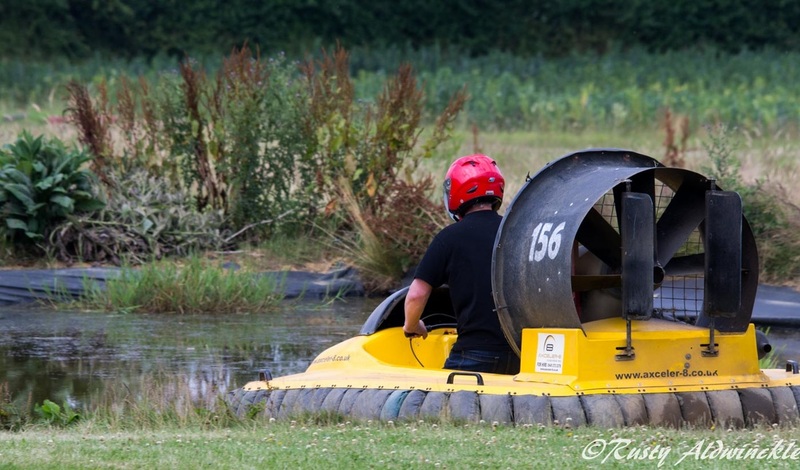 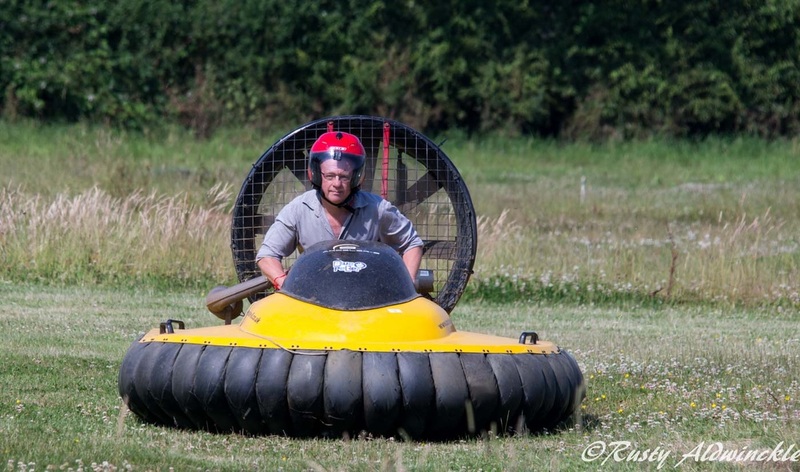 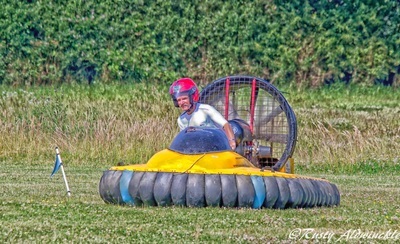 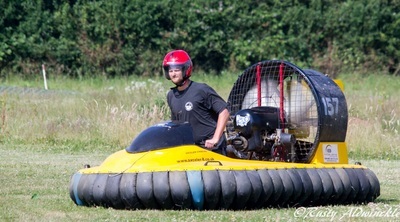 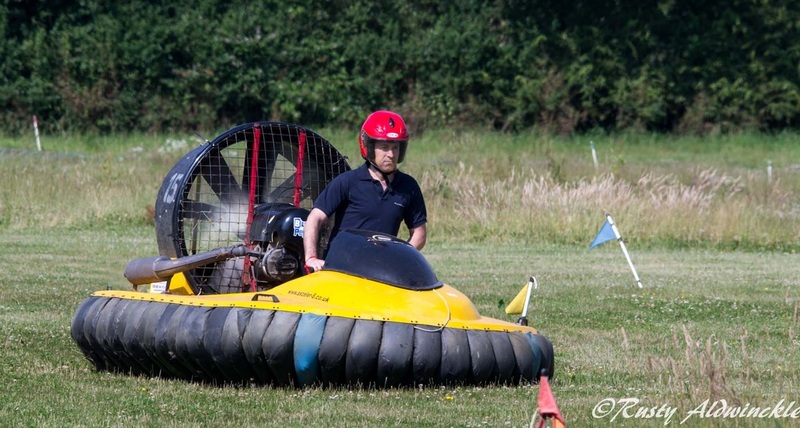 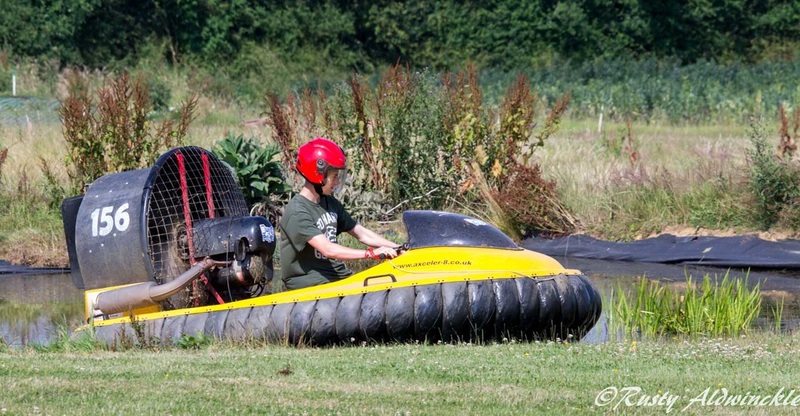 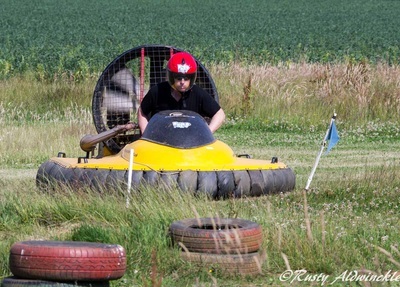 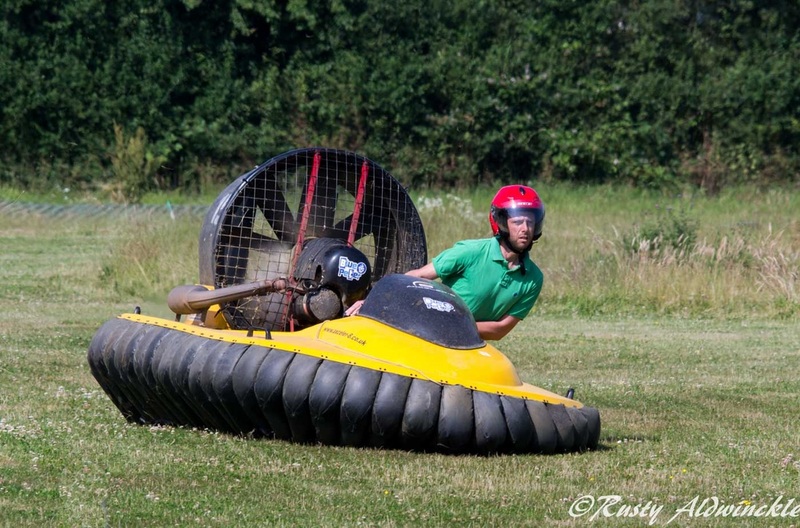 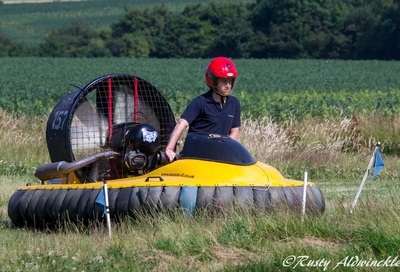 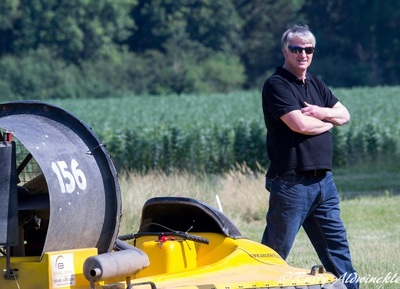 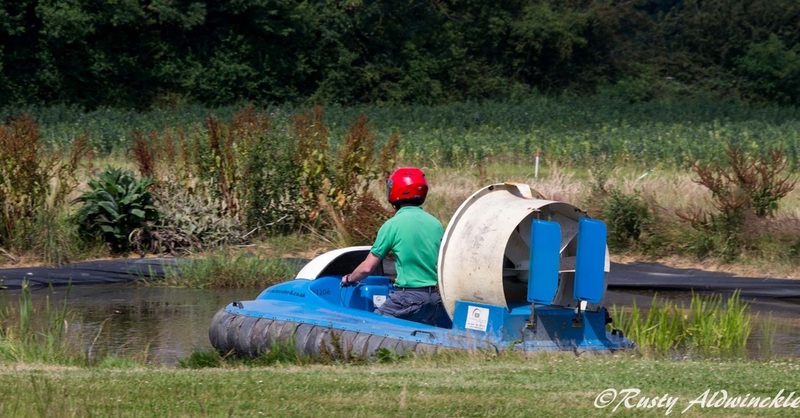 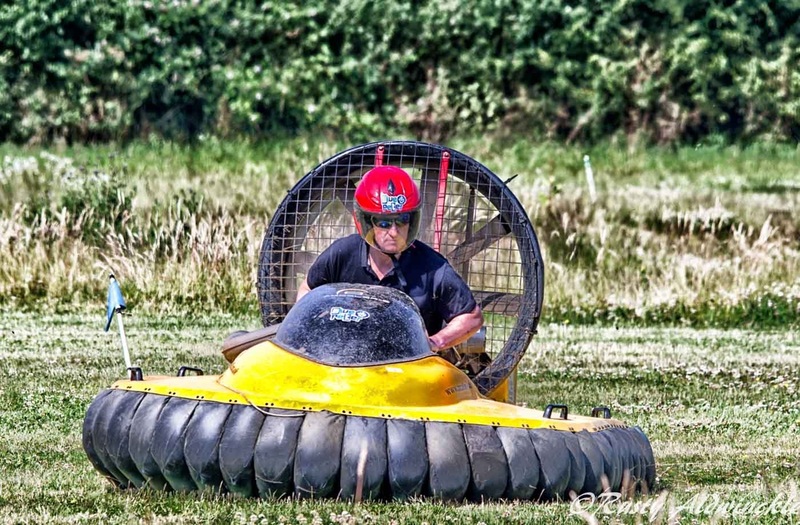 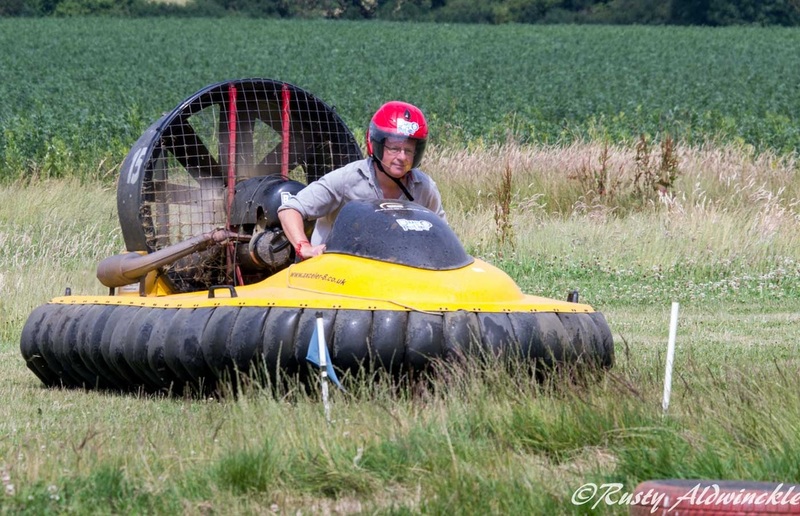 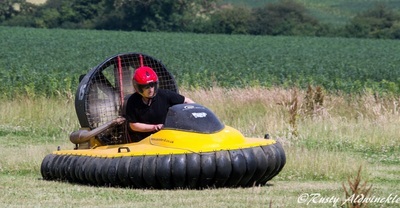 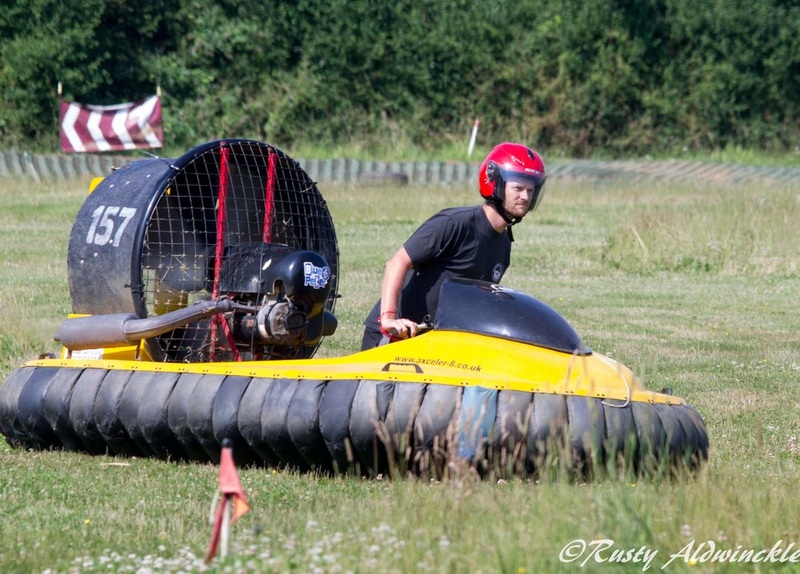 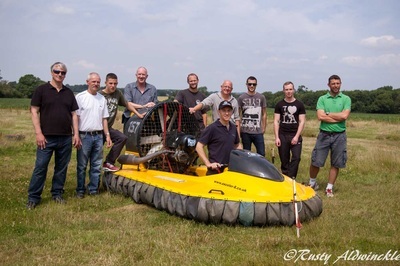 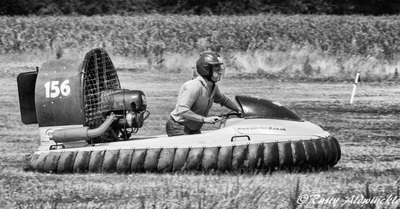 Once again I bought out the 'boy' in my husband (he's the one in the shades and numerous photos ) as part of his Xmas present was a Hovercraft Experience. 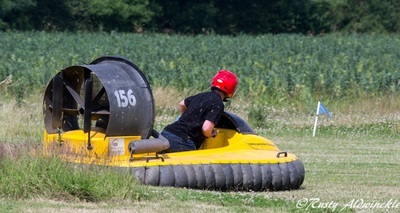 So some six months after being given the voucher we found time for him to give it a go and I do believe those watching husbands, partners, dads or just friends had as much fun as those who hovered. 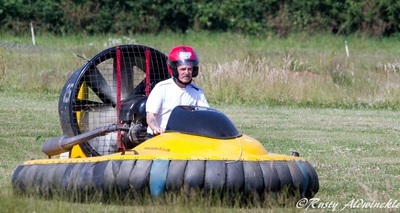 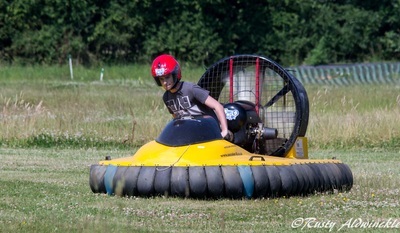 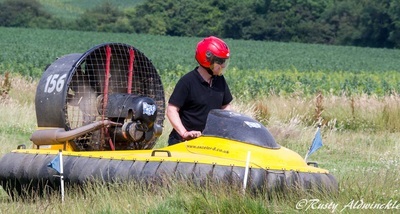 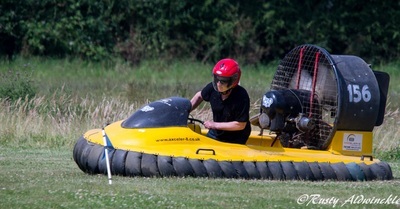 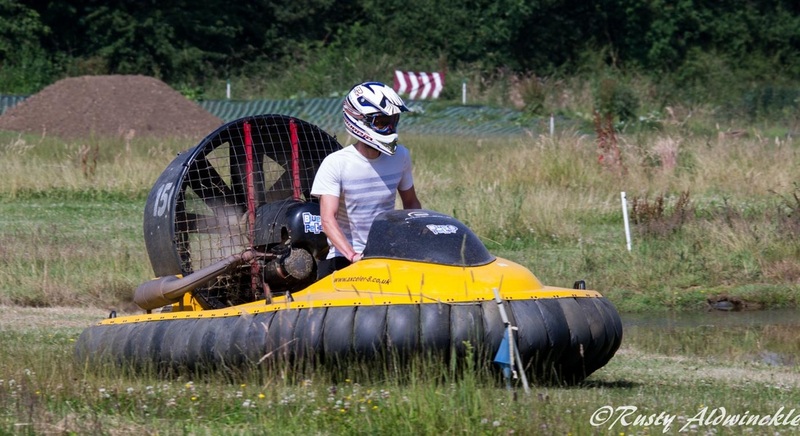 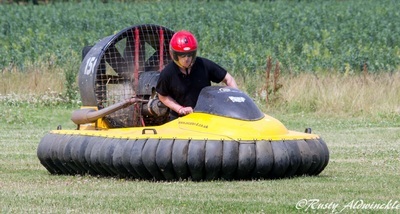 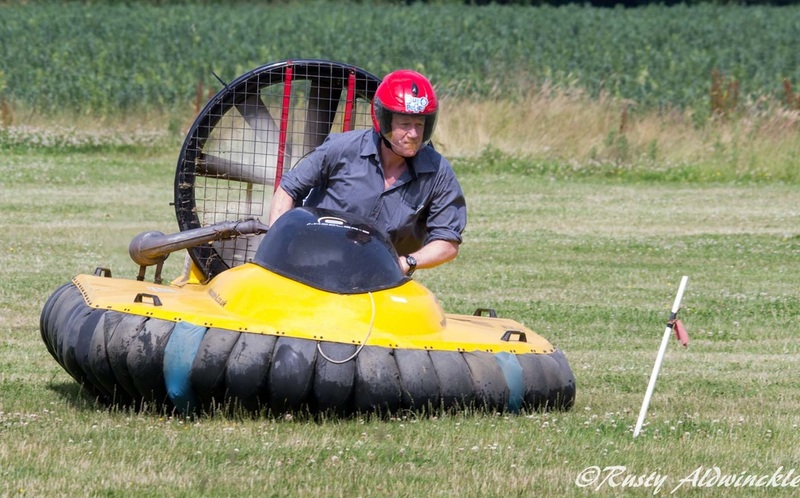 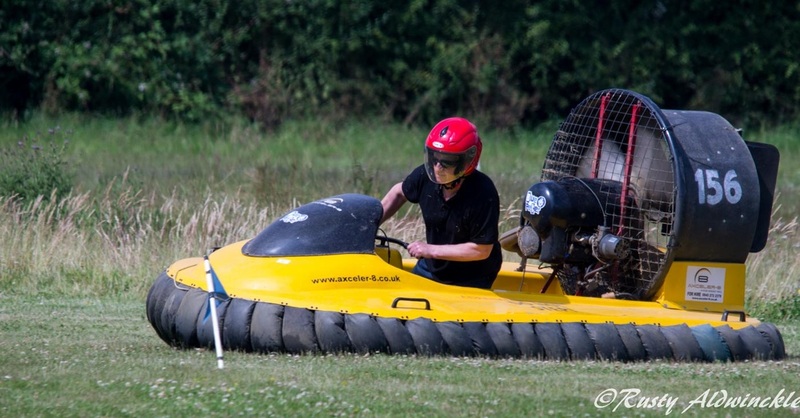 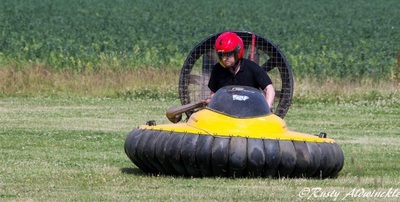 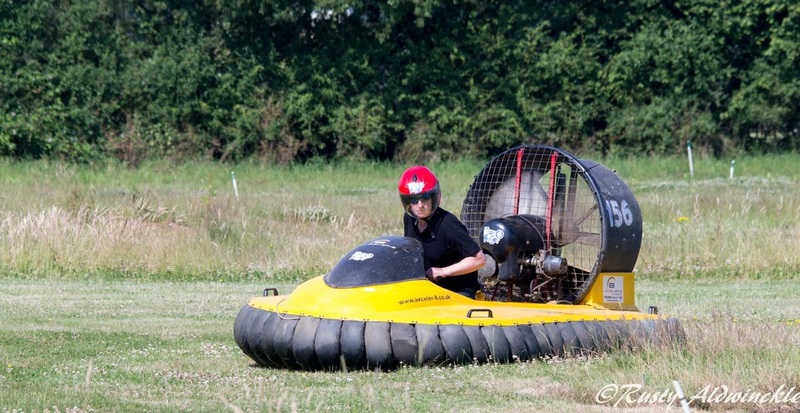 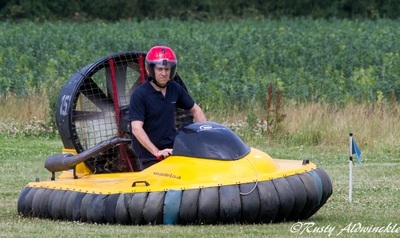 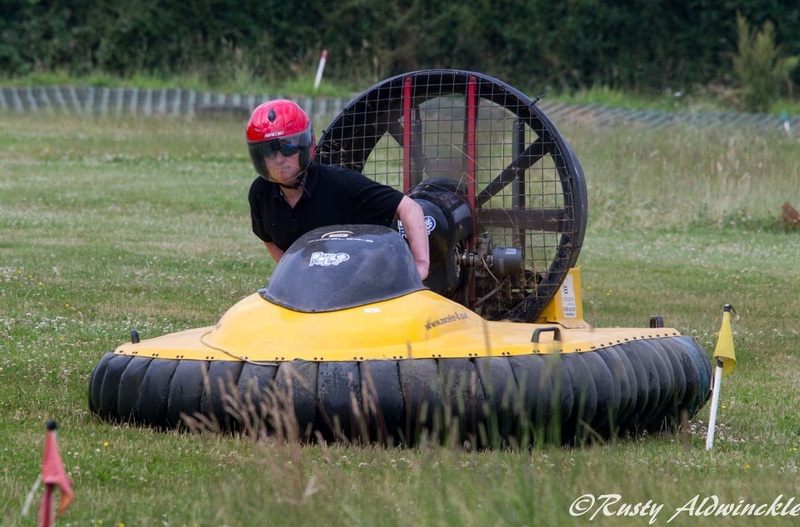 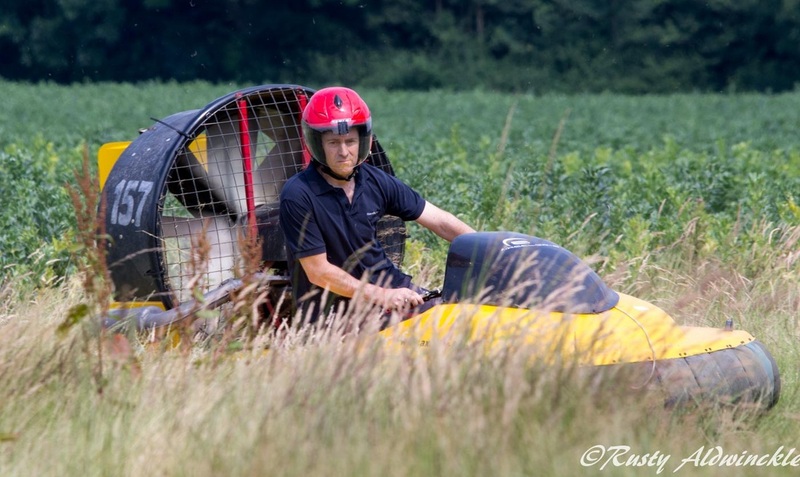 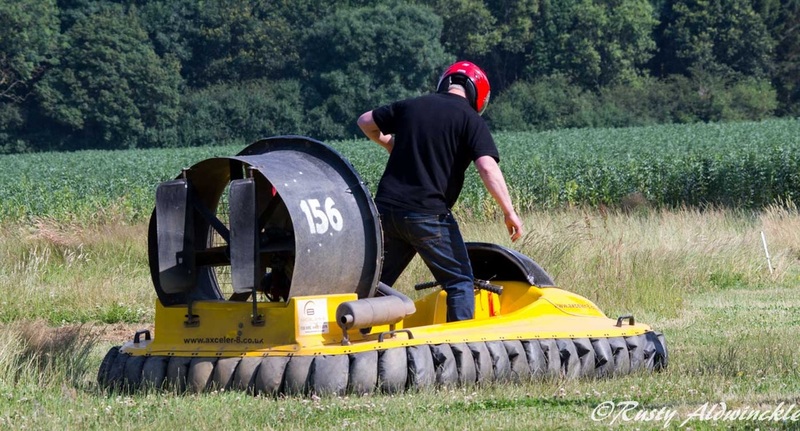 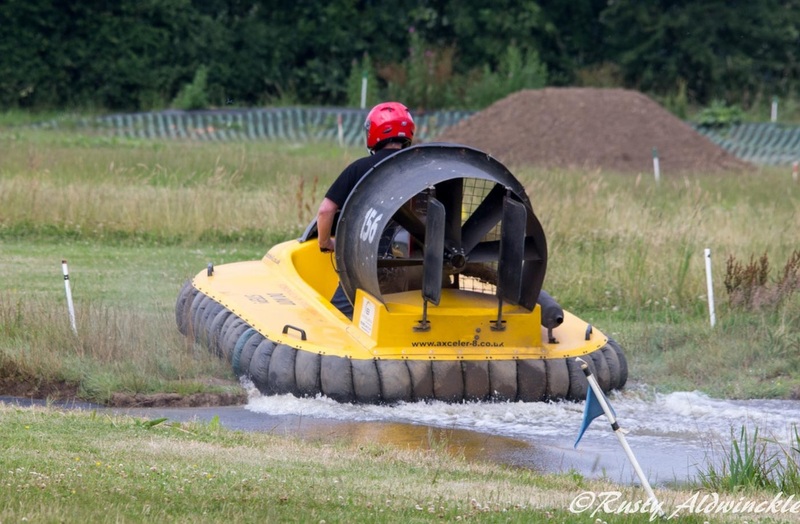 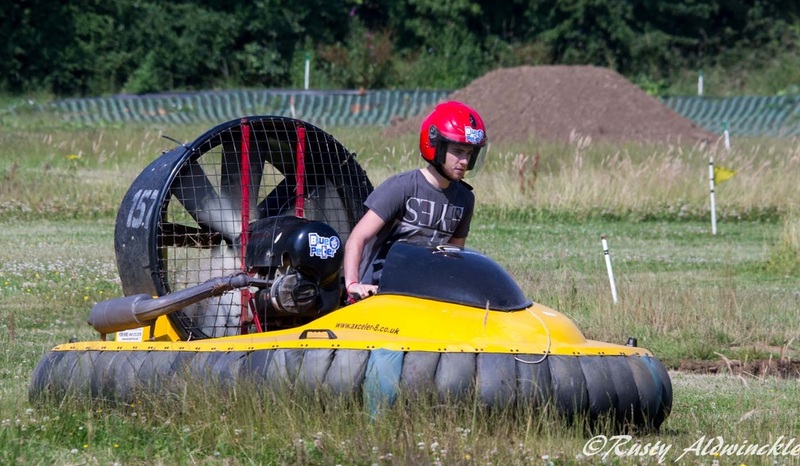 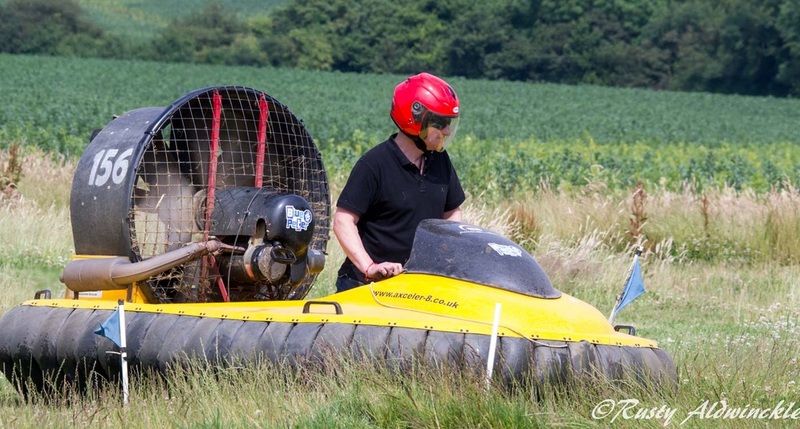 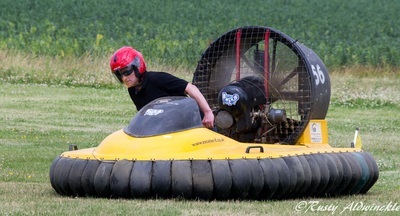 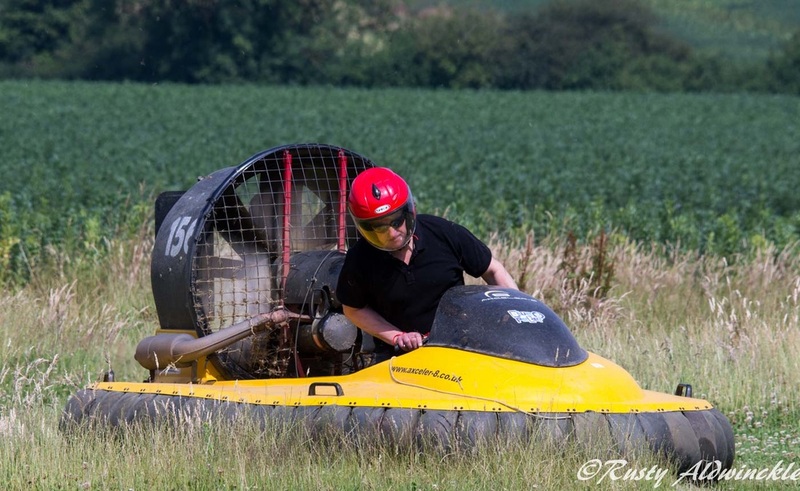 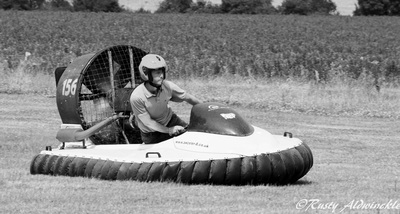 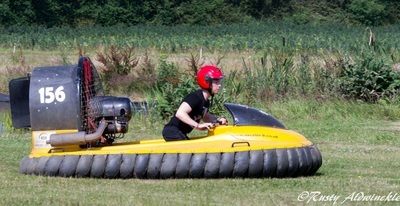 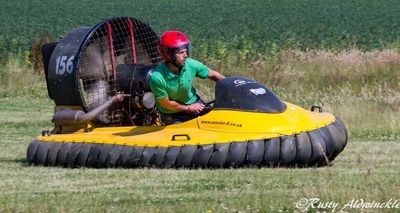 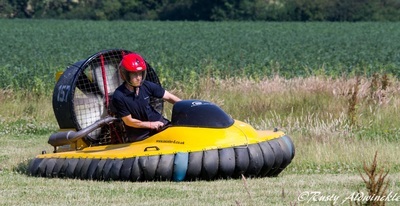 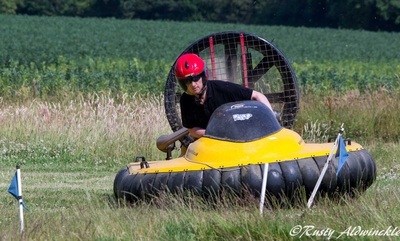 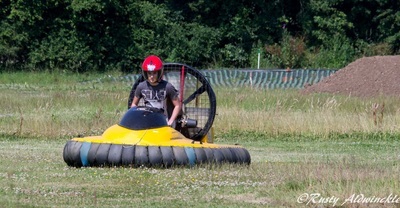 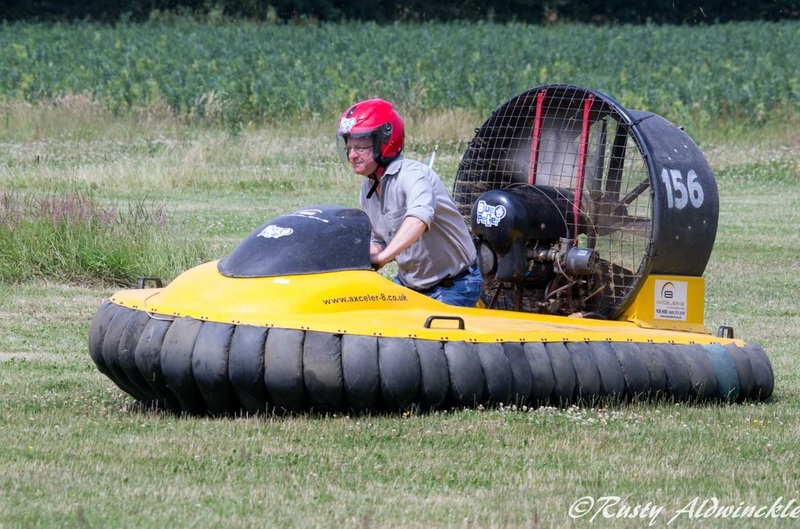 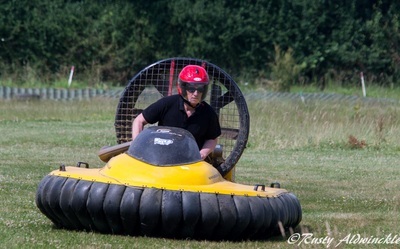 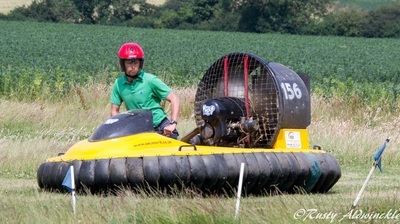 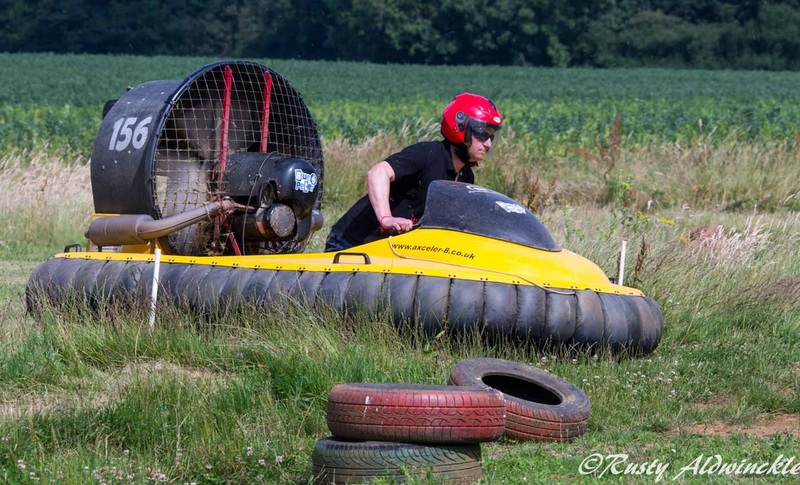 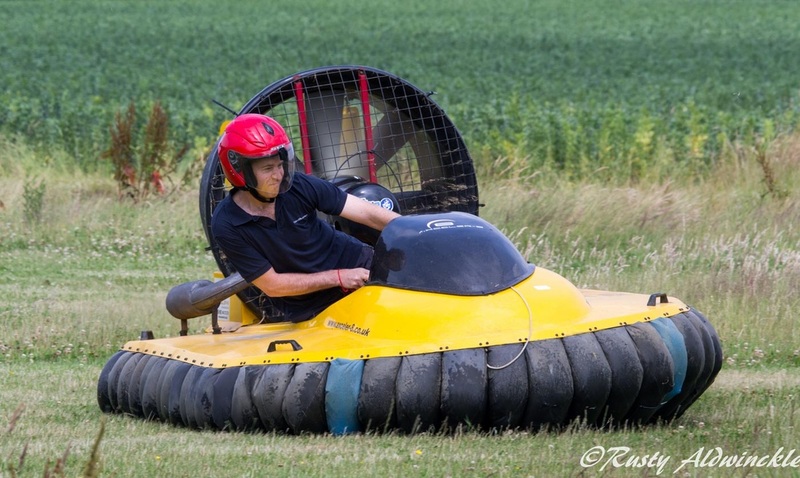 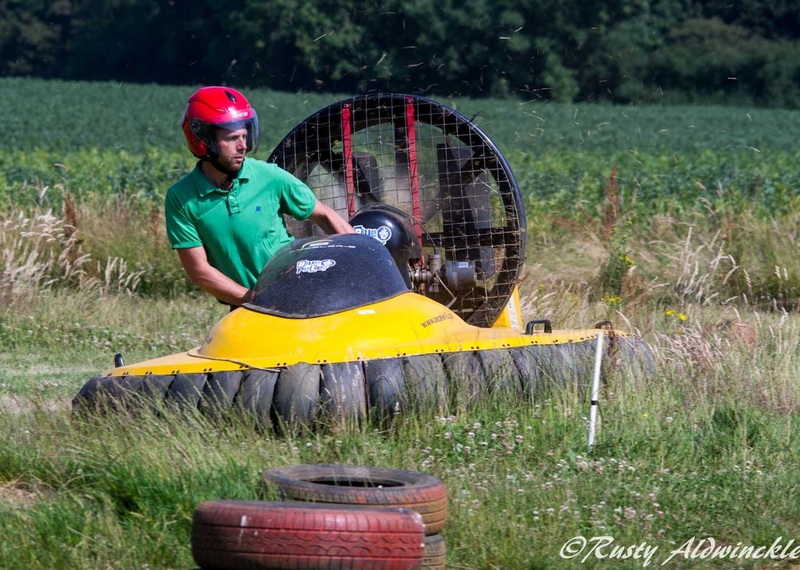 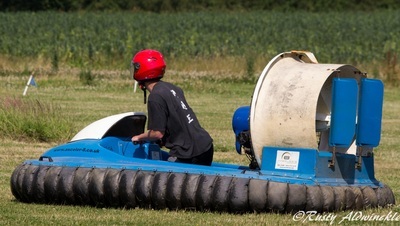 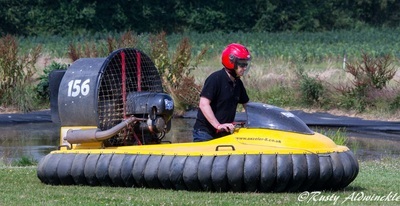 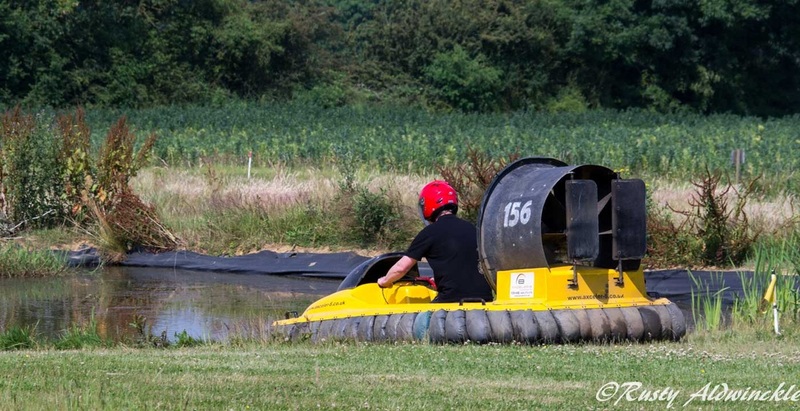 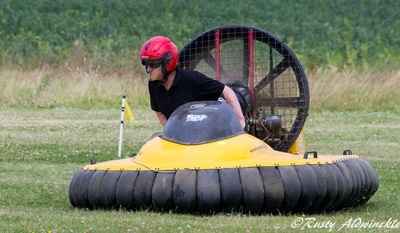 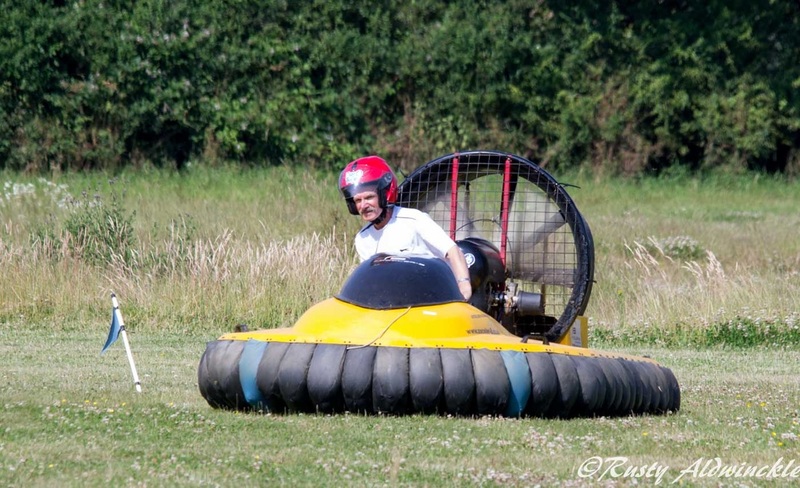 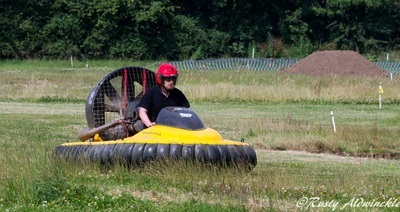 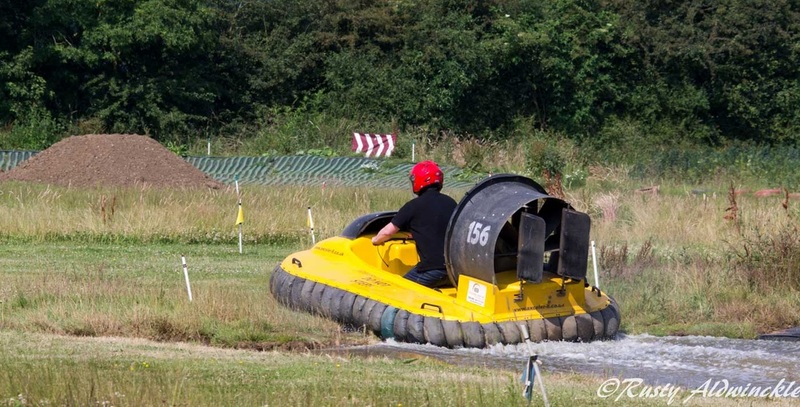 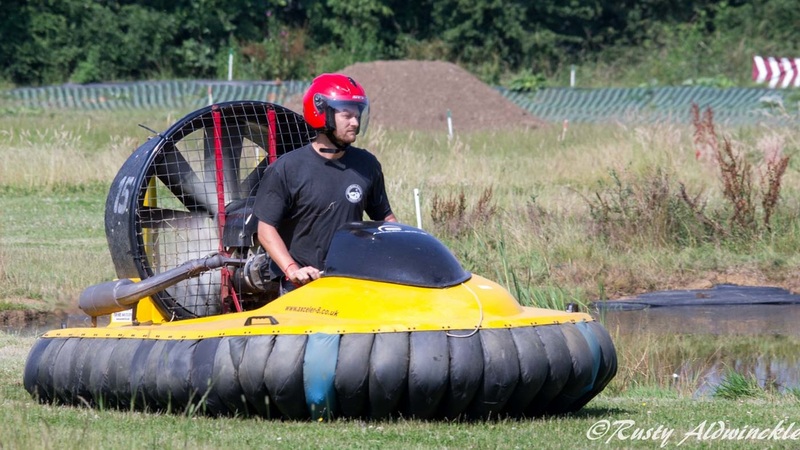 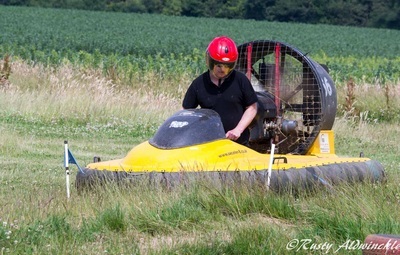 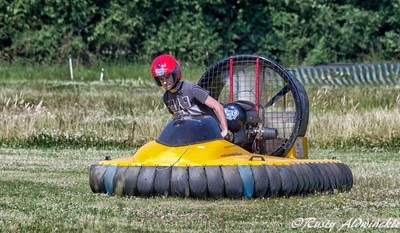 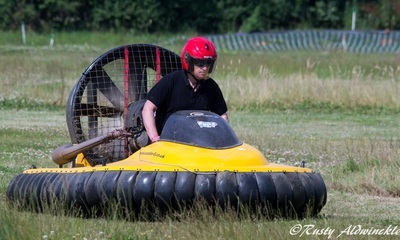 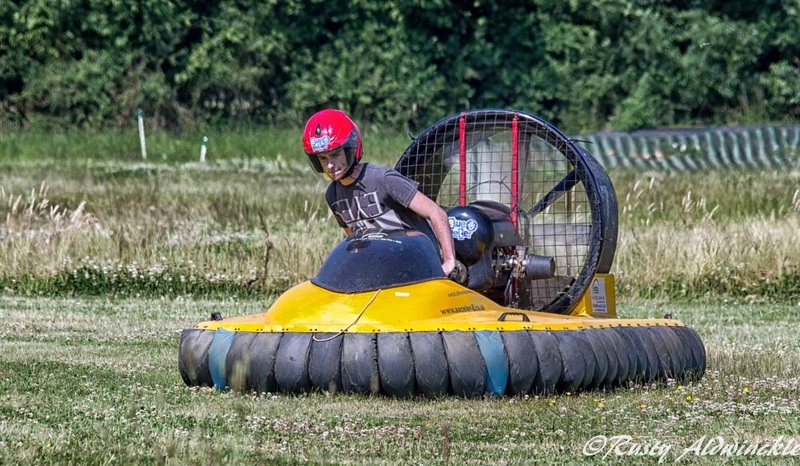 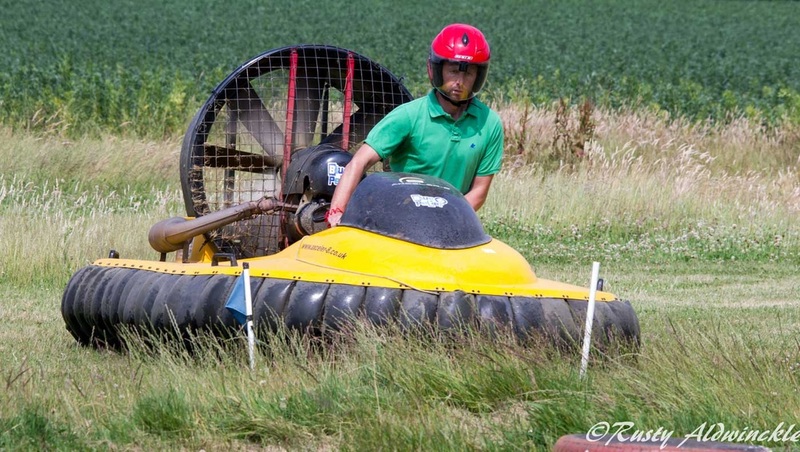 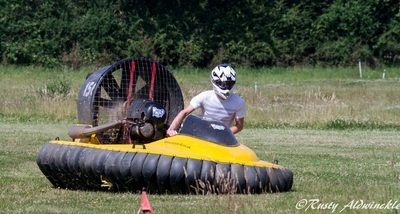 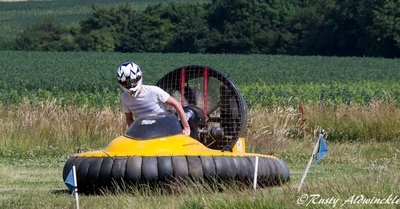 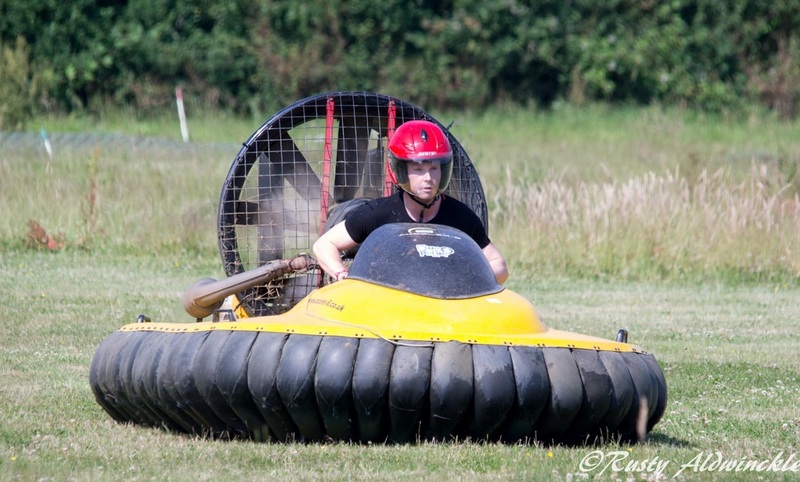 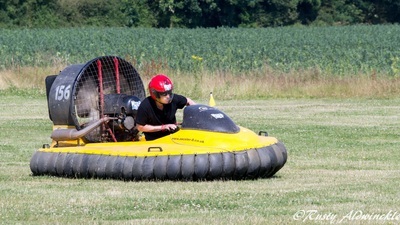 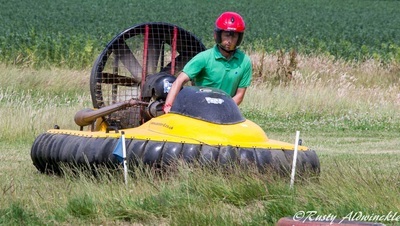 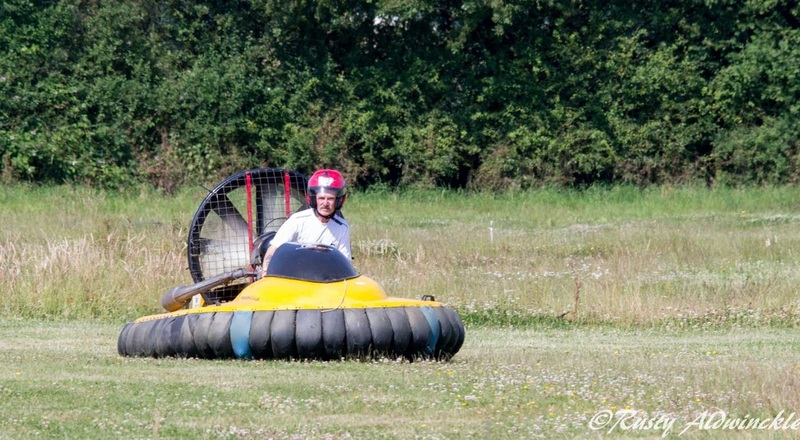 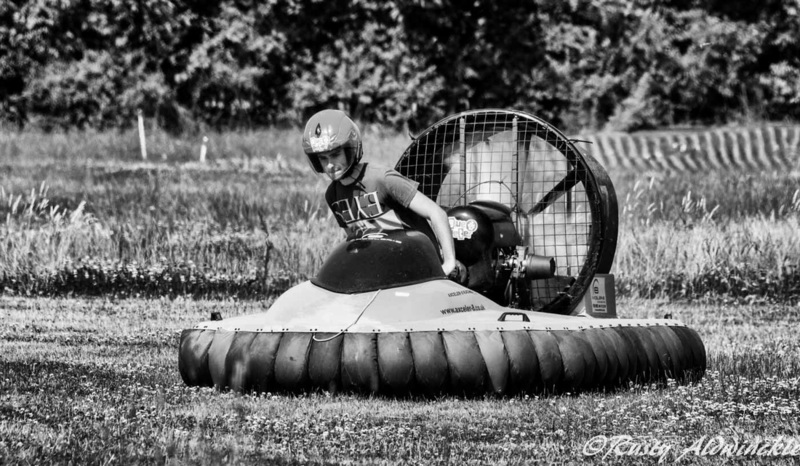 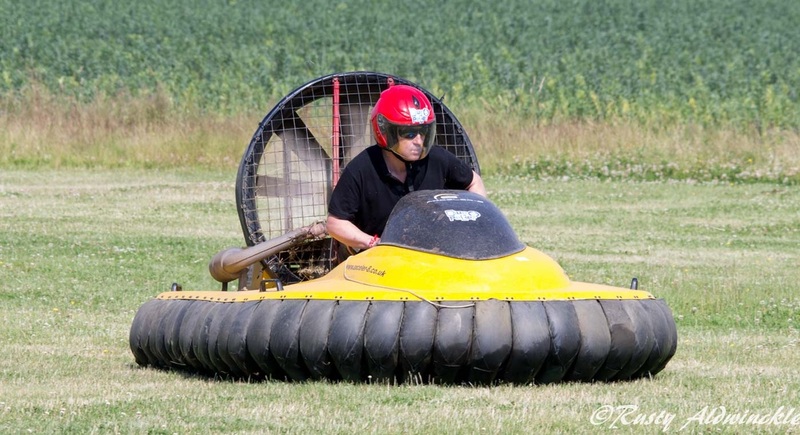 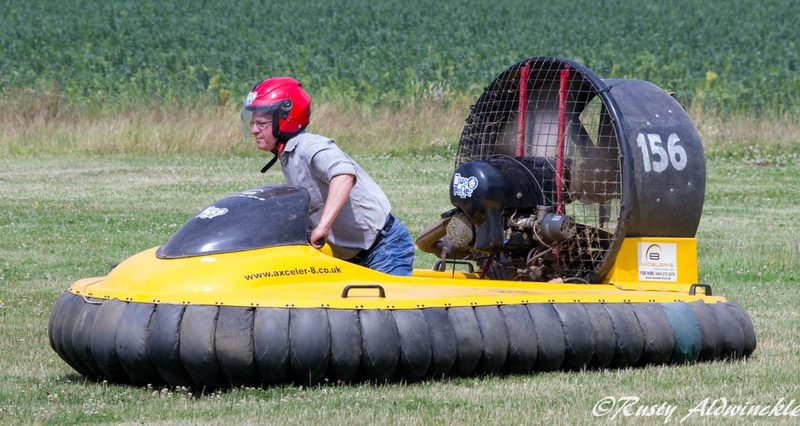 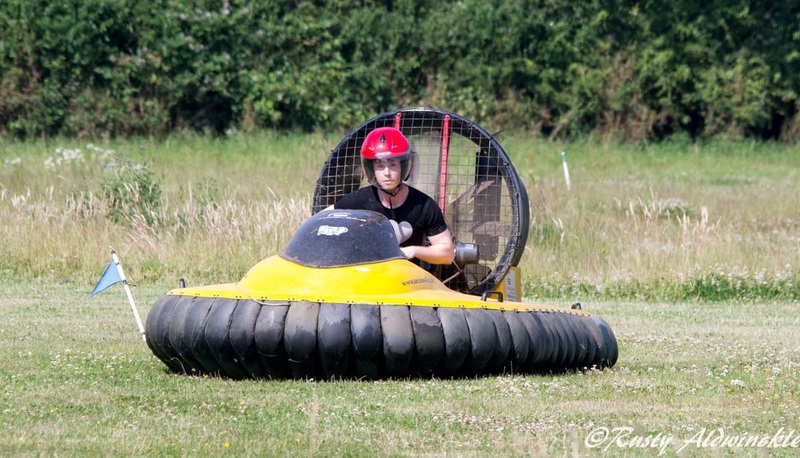 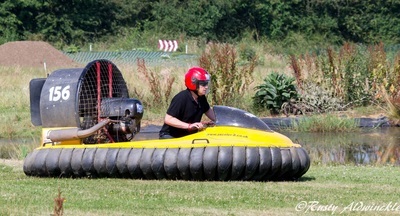 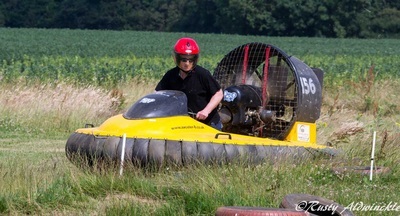 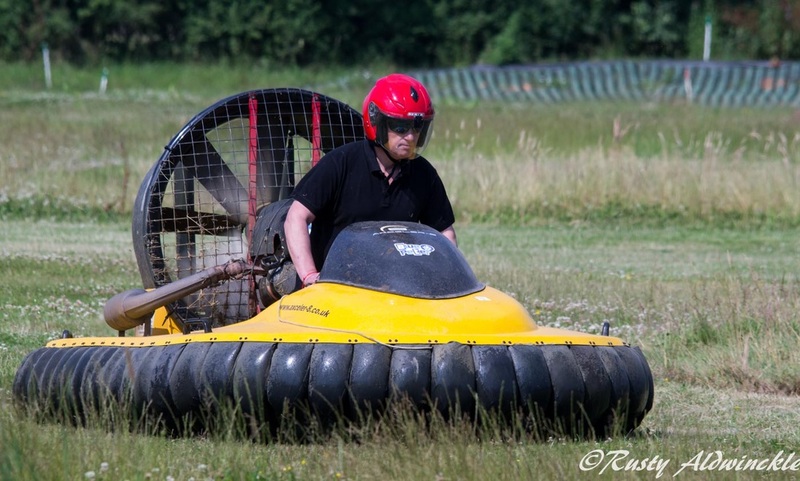 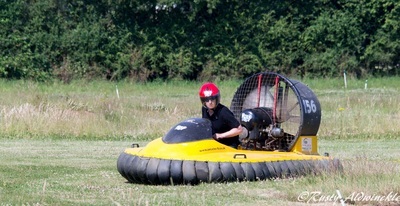 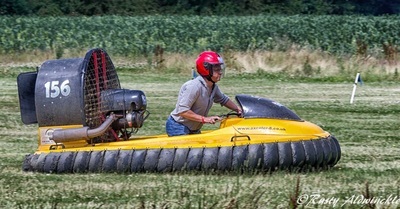 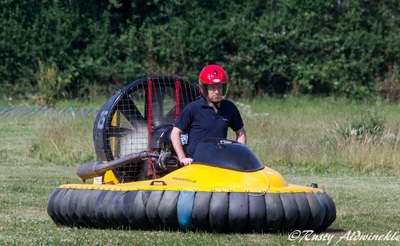 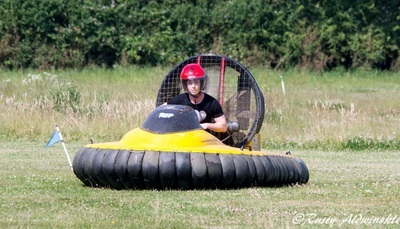 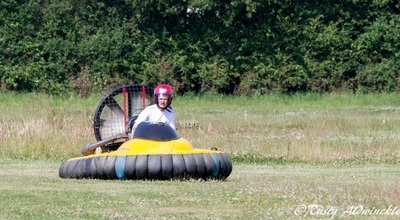 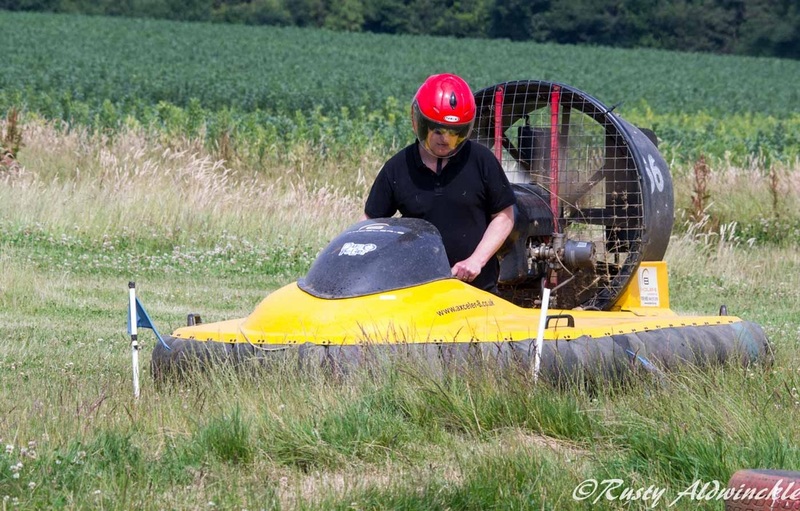 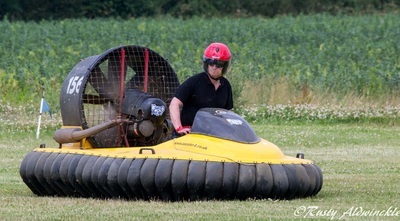 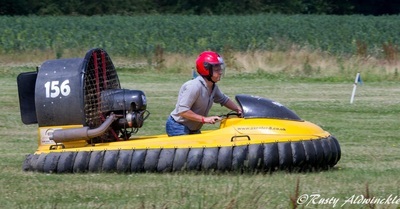 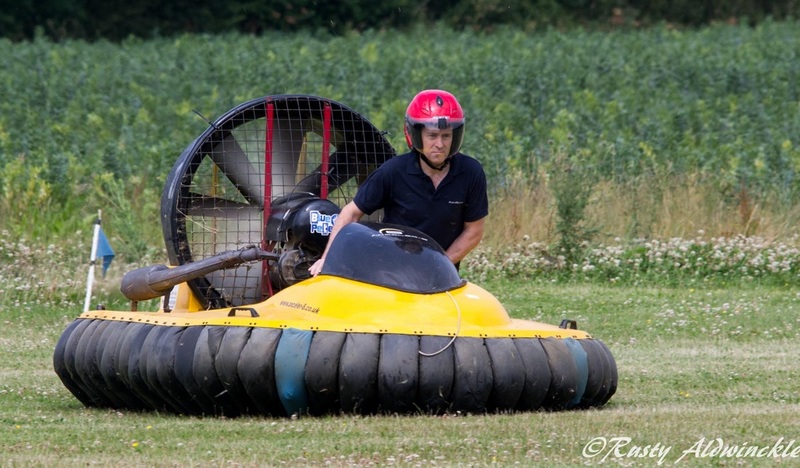 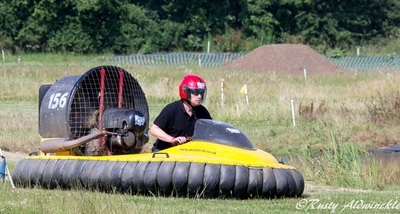 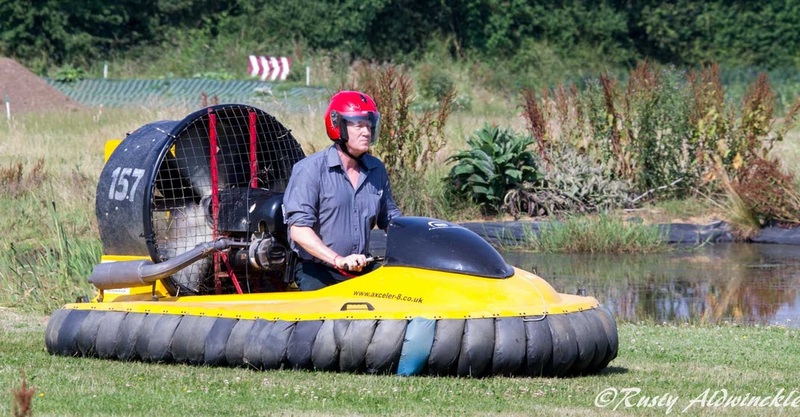 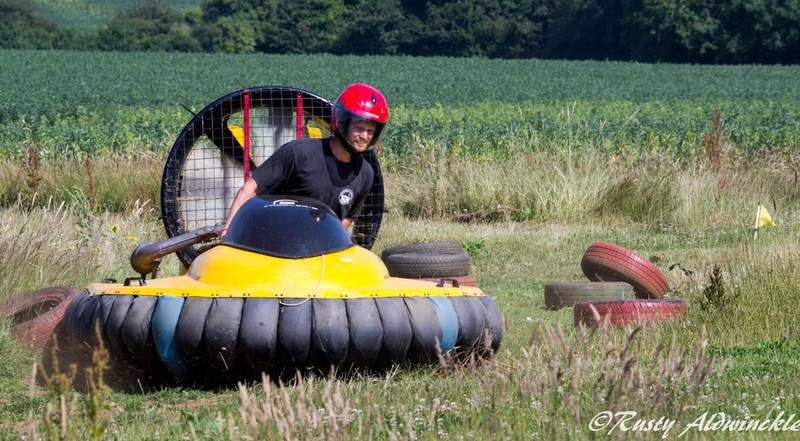 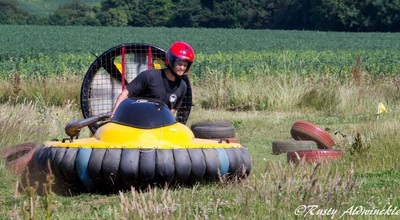 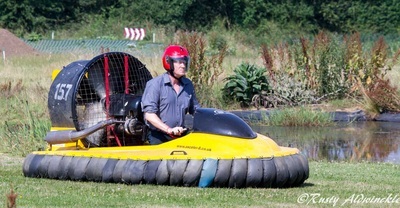 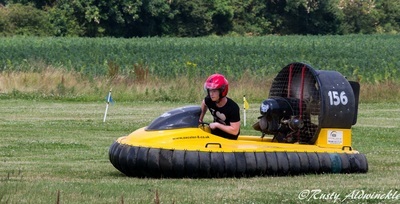 Thanks to Axceler-8 Hovercraft Experience.